Are you hardworking, fun and passionate about hospitality? Tap and Barrel Convention Center is hiring hosts for our busiest season! 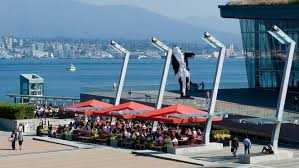 We are centrally located in the Coal Harbour neighborhood, only a 5 minute walk from Waterfront Station Create memories and lifelong friends while working outdoors on a beautiful patio overlooking the North Shore mountains and Stanley Park!